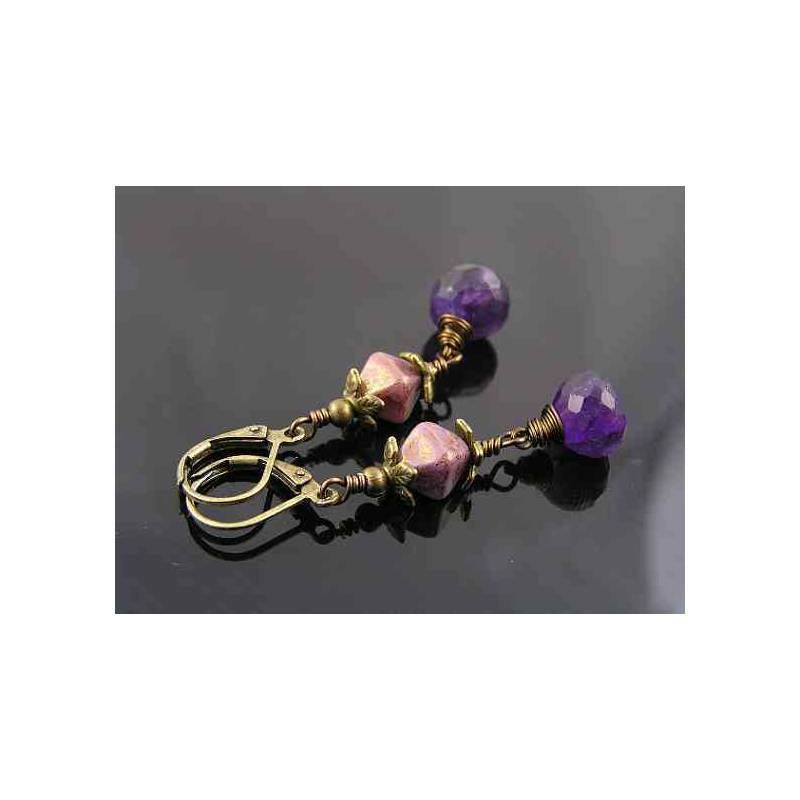 These amethyst beads have a gorgeous natural colour. 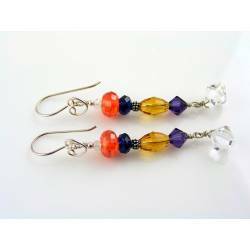 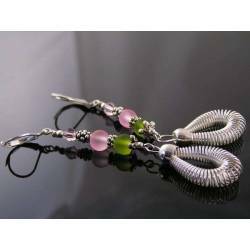 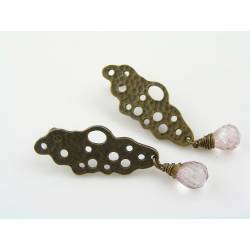 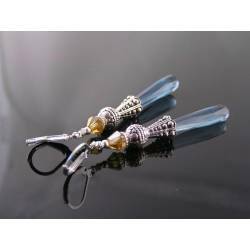 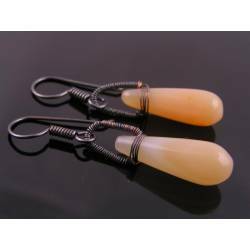 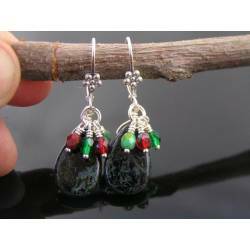 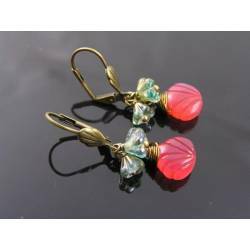 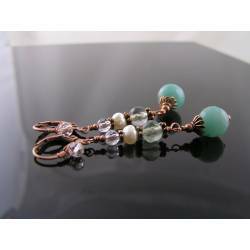 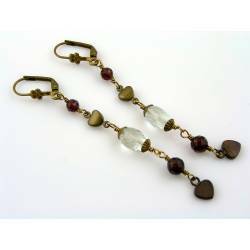 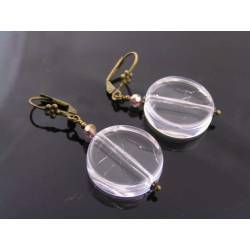 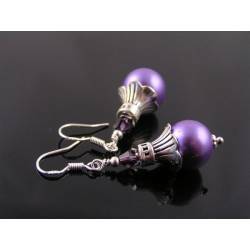 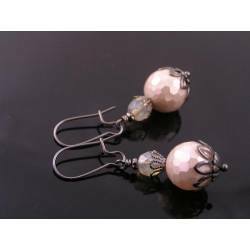 They have a larger size, are onion shaped and micro faceted.. 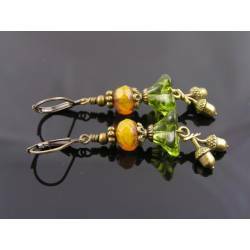 I have combined the wire wrapped gems with lovely, shiny Czech bicones, framed by leafy bead caps. 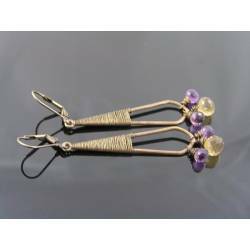 The earrings are attached to secure leverback ear wires. 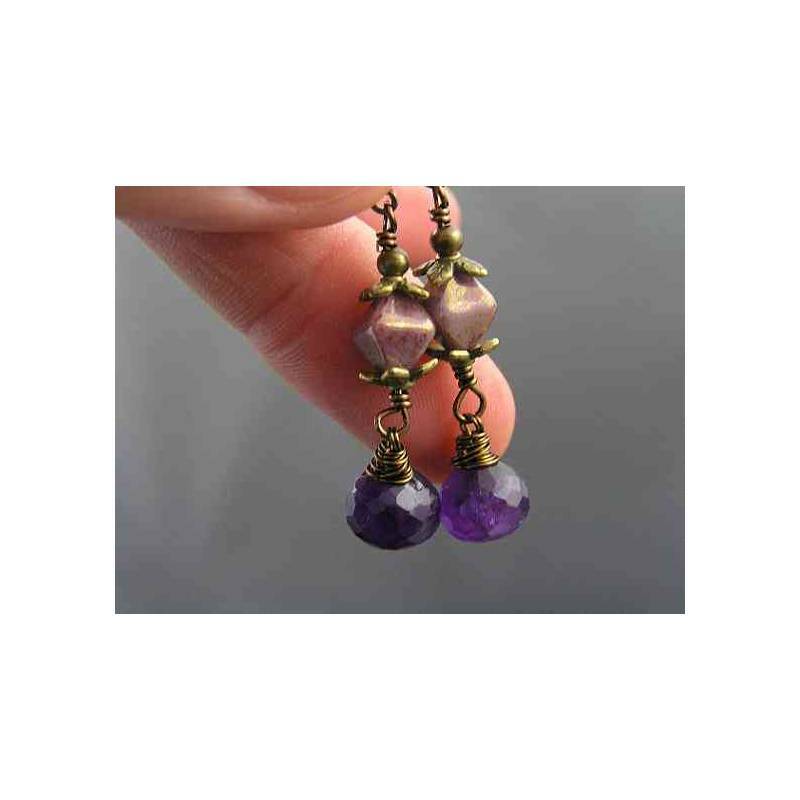 - Amethyst drops measure 10mm in height. 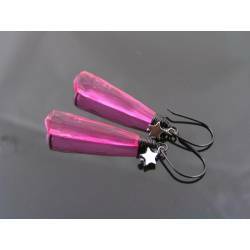 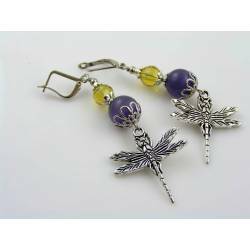 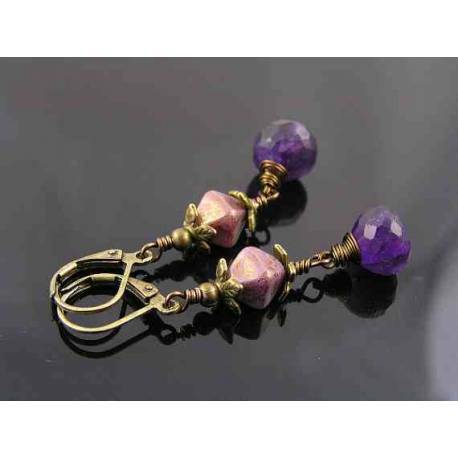 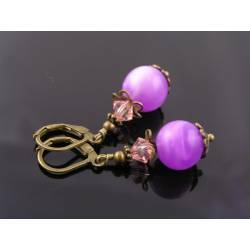 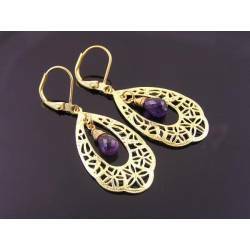 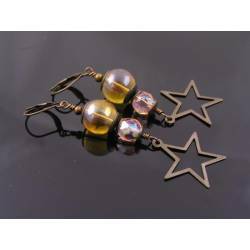 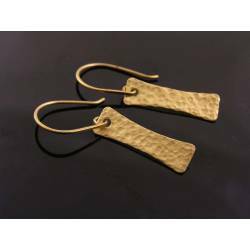 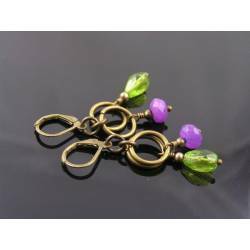 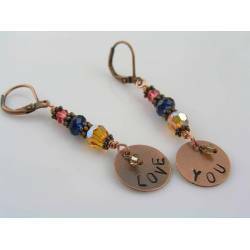 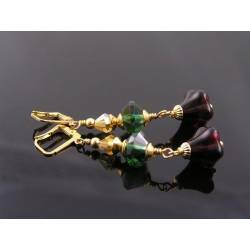 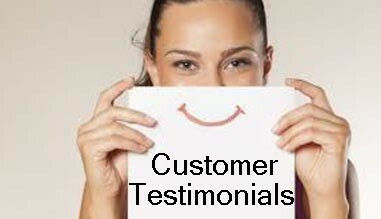 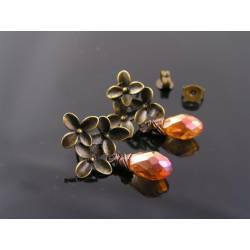 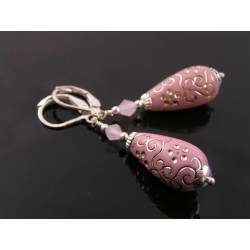 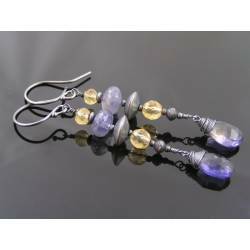 - Total length of the earrings is 48mm.